Happy Thursday, friend! I am so honored to share a bit of my friend, Mandi Mitchell's story on the blog today! We met in person back in February at the Pursuit retreat in Tampa and shared some really sweet conversations and learned that we both lived in Atlanta. We've since stayed in touch and are all about cheering one another on! Tyrone, GA (just south of the city) Born and raised around Atlanta! This isn’t necessarily a loss per say, but we have been trying for nearly 2.5 years to have a second child. We got pregnant without any difficulty with our son; in fact, we got pregnant with him the first month we tried. We decided once he turned 15 months old that we would begin trying. At first, I wasn’t super ready for the idea to have another baby, so the first few months we didn’t get pregnant, I was okay with it; but as that time stretched longer, it started to become hard. So here we are dealing with the weird infertility called second infertility. As much as primary infertility is not talked about, second infertility is talked about even less. The general population doesn’t even know it’s really something that couples deal with. They see a family with a biological child and just assume they can/will/want another child and questions are asked a lot, especially as your child gets older and you still don’t have another kid. At this point, I’m the only one of my friends who had a child within a year after my son who isn’t pregnant/doesn’t have another child yet. It’s often times hard being around these friends who have babies I so desire for myself. I truly believe the fact that we got pregnant so easily with our son makes me know that God wanted us to have him; not another child I could have gotten pregnant with that month or even a different month, but MY SON. He was put on this Earth by the Lord to be my child and me to be his mother. I am so thankful for that! The child I get pregnant with August is a completely different one than the one I get pregnant with in October or next May. That perfect child the Lord has for our family just isn’t quite ready to be yet, and when that does happen, it will be so clear as to why we walked this journey. Often when I find myself being sad about the fact that we don’t have another baby, I focus on the one-on-one time with my son. He and I have such a special bond and have the BEST time together. We are always laughing, wrestling, and playing with each other. I laugh more with him than I do with anyone else. Acting silly and goofing off with him really helps me. I have grown a lot in my dependence of God and REALLY trusting in His plans and His timing. I listen so much for Him now and hear His direction in my life so clearly at times. I don’t think I would have this happen if I hadn’t had to depend and lean on Him so much. I often get the question if we would adopt. My answer is immediately yes, I would love to; but the Lord has not called that for our family yet, and I know this as I have been seeking Him and know that he does not have this for us yet, maybe never. Don’t stay quiet. Share your story with someone, even if it’s only a few people. Also, share with people you know going through this journey or are on the other side of it. Infertility is hard enough without having someone to talk and share with. Ask for prayers and know that it’s okay to cry and be frustrated, but ultimately remember that God has a purpose and plan for us, a plan for good and not to harm us. He is in control and has a reason for it all, we just might not see it yet. YOU'LL RECEIVE YOUR FREE VALUES GUIDE FOR SETTING GRACE-FILLED GOALS and, by joining the FLOCK, you are guaranteed to receive notes in your inbox of encouragement, love + tips for intentional living- as well as exclusive offers + giveaways. YOU are loved, sweet one and I can't wait to journey with you!! Don't worry- we don't like spam either! Hi love! Welcome to my virtual couch where we are just 2 friends enjoying a hot cup of coffee or a glass of our favorite wine- your choice! Grab a blanket and get cozy... this is a place of life, love and laughter. Each time you stop by, I pray that you're encouraged and reminded of the great gift of Grace! 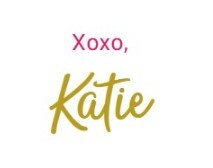 By joining the FLOCK, you are guaranteed to receive notes in your inbox of encouragement, love + tips for intentional living- as well as exclusive offers + giveaways. YOU are loved, sweet one and I can't wait to journey with you!! Come join us over on Instagram, darling!